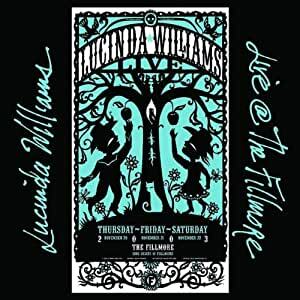 LIVE @ THE FILLMORE is a double CD collection of live songs over her 3 night appearance at San Franisco's legendary Fillmore Auditorium. All 22 tracks that appear on this collection were hand selected by Lucinda. Includes such favorites as "Joy", "I Lost It," "Essence," and many more. This is a great live album, fantastic songs, stunning band and a very impassioned performance from all concerned. It is right up there with the greatest live recordings. 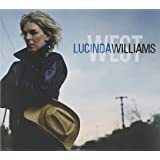 If you have not discovered Lucinda yet this is a great place to start. Get in a car fire this recording up loud, drive, you will definitely arrive somewhere else two hours later. 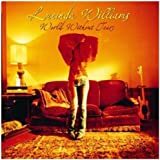 Stumbled on Lucinda Williams only recently, and heard her music through some friends of ours who are keen country/folk listeners. This made me get two of her Albums and then this live one, I have to say it is well worth the purchase, easy on the mind and well played by her backing band and of coarse her sublime voice which is quite special on all the album. Not a bad song on this double CD. 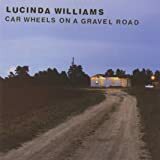 If you are a Lucinda Williams fan and don't own it I recommend you buy it now. This is stunningly good. 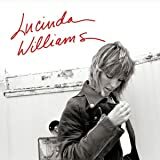 Lucinda is like a train and yet sensitive.Her voice and songs are raw, beautiful and real. No hiding from bad things. Lucinda's band are top notch in all respects, the guitarist particularly so-dirty sound yet lovely when needed. Wow!!! Buy!! If you reject live albums because you already have the studio tracks, think differently. 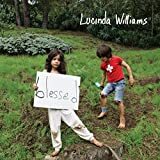 In the most important sense these are new songs in that Lucinda Williams and the band are playing them as they feel at that moment of performance. 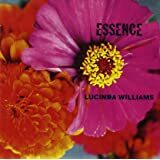 Listen to Essence and the mix of eroticism and sheer menace and then the studio version - you need both. This album is so compelling that you should seriously abuse anyone who says "At least it proves they can perform live". Incidently the quality of recording and the sensible suppression of audience noise is perfect. Superb live album from a great artist. Bought it after buying all of her other albums. This is up there with the best. Great album. I love live albums and this one has an edge that more mainstream ones sometimes lack. 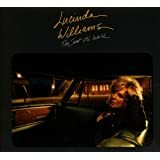 My favourite Lucinda Williams album for this reason. Someone recommended this to me so I read these reviews and bought it on spec. I have to say I agree with most people. This is a terrific album that really grows on you. The style sits on the edge of the country music genre where it meets Neil Young and Crazy Horse. I love the guitar work and the guts of the live band. It has become one of my favourite CD's in a very large collection.